The name's Tricia. But my girlfriends call me T.
I work with women to unleash the fierce fire that's in all of us and to help them design the fabulous life they deserve. Why does being fierce & fab mean so much to me? Well, the last 3 years have been full of breakups. No, not all with men. I freed myself from a toxic relationship, broke up with friends, broke up with a job that didn't make meh happy, broke up with my business and at one point, I broke up with myself. 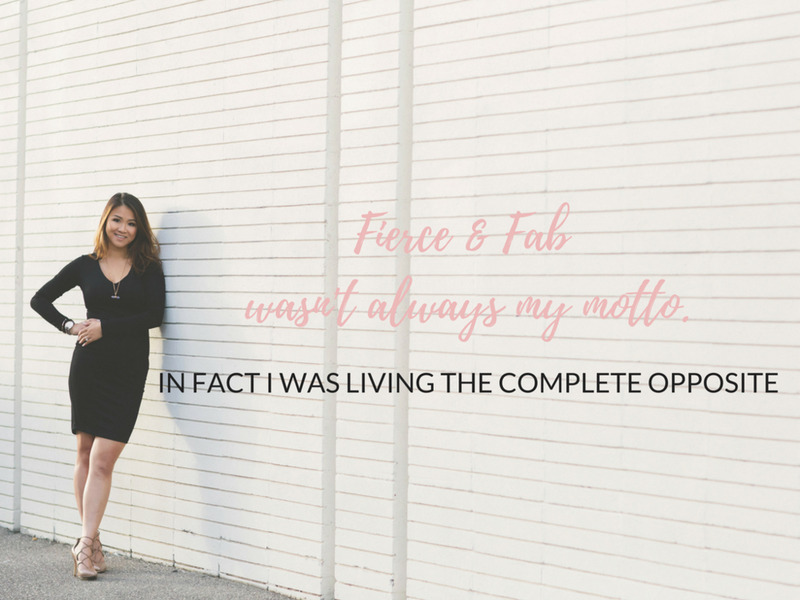 In the same span of time, I fell in love, started a business, got engaged, gave birth to my first child, started a second business during, gave birth to my second child, and have re-discovered how #FierceandFab Tricia Nguyen really is. ...Life never really works out the way we think it should. But it always works out. So when I quit my salary paying job, started my own business and had my two baby boys out of wedlock (sorry, ma!) that didn't go over well with my parents. You can say I was always the "rebel" or "black sheep". This is partly the reason why talks of the priesthood/nunnery came up. But even the Lord couldn't save me. Deep down I always believed that life doesn't have to be the way you're told it is. I always knew I was meant for so much more. I realized that I didn't have to choose and that my life could be whatever I wanted it to be. And we're not meant to figure it out on our own. So I invested in a coach, got the guidance to crate my second business and changed the way I looked at my life. THAT'S when I started taking back control of my own life. My freakin' Fierce Fab Life to be exact. I hit a breaking point when I realized I was robbing myself of happiness with self-pity and pent up resentment. It was slowly ruining all my relationships. This is not the woman I am! As usual, this was just another detour in this journey called life with more hills to climb, more turns to take and a much more rewarding view. I knew I had all the tools to be amazing, I just needed help figuring out how to use them. And that's when it clicked. MY OBSESSION WITH BECOMING THE BEST VERSION OF MYSELF IS WHAT I'M MEANT TO SHARE WITH THE WORLD. It's my mission to empower women to start living living their lives on purpose. That means fearlessly + unapologetically. What does my fierce fab life look like? I started living my life once I made a serious decision to do something about it. I know it's not as easy as ripping off your suit and feeling powerful like Superwoman, but love, believe when I say it's possible. Despite what you've been through in the past or what you've been told. Whatever your wildest dreams and desires are, hold onto them like the last pair of suede booties in your size. Know that you're SO deserving of them and all the suede booties your feet can step into. So let's take the first step!